and as of October 18 has over 7.1 million participants. what to do to be safe, and to learn what plans need to be improved. to make it their own event. with registering, which is free and open to everyone. 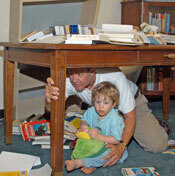 For more information or to register, visit www.ShakeOut.org.